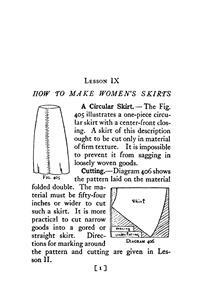 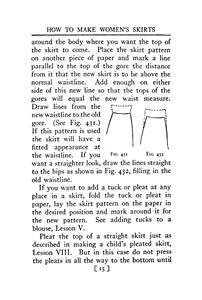 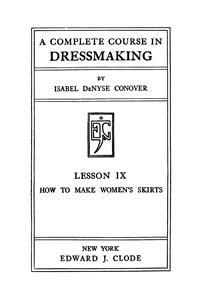 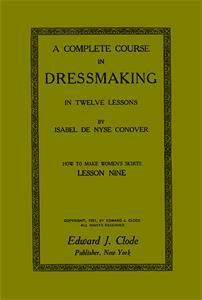 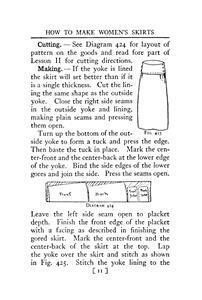 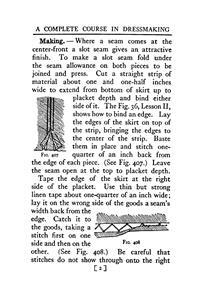 From the earlier, much shorter Complete Course of Dressmaking. 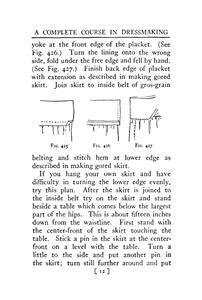 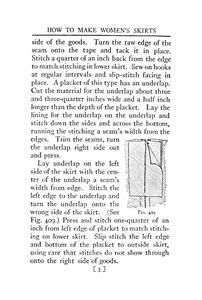 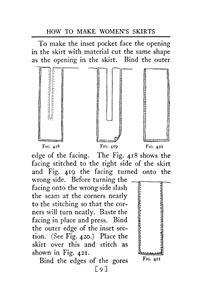 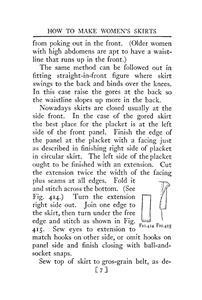 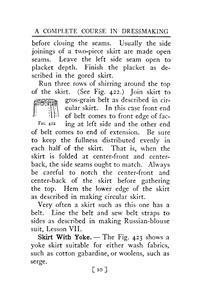 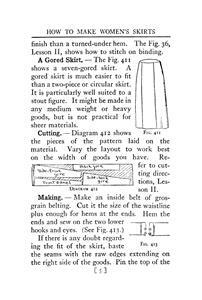 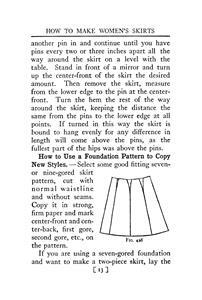 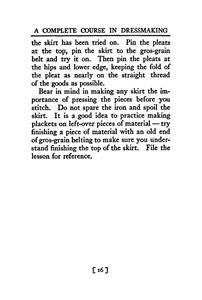 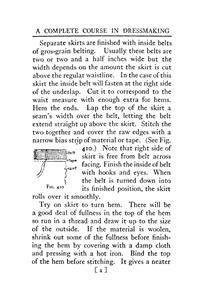 Circular skirt, gored skirt, skirt with yoke. 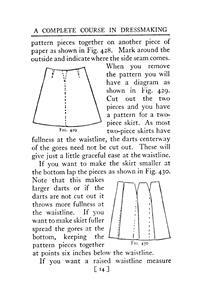 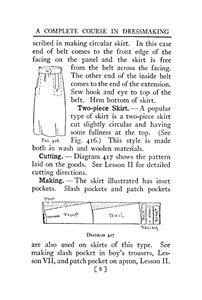 Drawings show the layout of pattern pieces and some details of sewing. 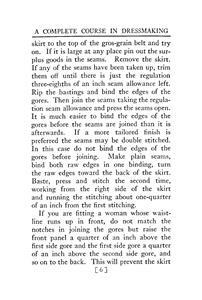 Scans donated by Sytske Wijnsma, edited by Sytske Wijnsma.